All proceeds go to Samudhaaya Foundation, in aid of underprivileged children. Samudhaaya Foundation announces the launch of its official calendar for the year 2011 done in exclusivity by Padmashri Sudha Ragunathan, Founder & Managing Trustee of the Foundation, to help raise funds for the welfare of underprivileged children. The calendar portrays a ‘Tamil festival’ theme, encompassing both popular and traditional festivals and important days in the Tamil Calendar. The months of the Tamil Calendar have great significance and are deeply rooted in the faith of the Tamil Hindus. Some months and days are considered very auspicious. The calendar showcases important celebrations for each month in both Tamil and English. The last page of the calendar also carries information on holidays observed by Christians and Muslims; Panchangam, Vaastu, Viradham days etc. The calendar was officially launched by the yogi and prominent spiritual leader of our times, Sadhguru, founder of Isha Foundation. The first calendar copy was received by Bhagwan Sri Sathya Sai Baba. 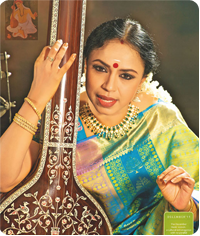 T. Selvakumar, photographer, who played a key role in the making of this calendar, ensured that each festival featured in the calendar was brought to life by capturing the right expressions of Sudha Ragunathan. He was also emphatic about the fact her versatility gave him tremendous scope to shoot many a perfect picture. “Music and photography are my passion. Photography creates an intense bond with your subjects, colours and lights. Nothing excites me as much as the varied moods and tones people and object bring and reveal in front of the camera.” says Selvakumar.